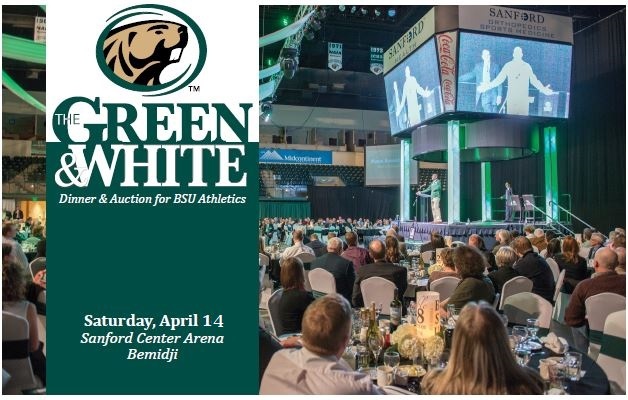 The Beaver Radio Network would like to see you at the Bemidji State University Green and White auction this Saturday, April 14th. Meet BSU athletes, coaches and fans. Enjoy outstanding food and drink. Browse and bid on unique silent auction items. Show your Beaver Pride when it comes time to bid on the one-of-a-kind experiences we have collected for the live auction! To register, click HERE/. We hope to see you at the Sanford Center this Saturday, April 14th!